दुर्योगवश मानव सभ्यता का यह स्वर्णिम पृष्ठ देव भाषा संस्कृत में लिखा गया जिससे वर्तमान में जन सामान्य और विश्व लगभग अपरिचित है। वैदिक ऋचाओं, श्लोकों, सुभाषितों, बोध शास्त्रों, भाष्यों, पुराणों, उपनिषदों, नाट्य, इतिहास आदि श्रुति-स्मृति के सहारे संस्कृत वांग्मय (वेद, वेदांग, उपांग) अंततः अपने उद्गम ॐकार में विलीन हो जाता है. 'संस्कृत' रुपी राजमार्ग निसर्ग, विद्या, कला, धर्म, ईश्वर, और कर्मयोग ऐसे विविध स्वरुप लेते हुए अंतिमतः श्रुति (वेद, वेदांग और उपांग) और ॐकार में विलीन या व्याप्त हो जाता है. विश्व के अन्य भागों में सभ्यताओं के उदय से सदियों पूर्व भारत में ज्ञान-विज्ञानं के अद्वितीय साहित्य का सृजन हुआ. सुव्यवस्थित शासन प्रणाली के बिना यह कैसे संभव है? साहित्य साम्प्रत समाज का प्रतिबिम्ब ही नहीं मार्गदर्शक भी होता है किंतु समय के सत्य को न पहचानने, इतिहास से सीख न लेने, साहित्य के सनातन मूल्यों की अनदेखी कर निजी स्वार्थ को वरीयता देने से आगत अपने विनाश के बीज बोता है. त्रेता और द्वापर के समय और उसके बाद भारत में भी यही हुआ. मध्यकाल की पराजयों और सहस्र वर्षों की गुलामी से उपजी आत्म्हींत की मनोवृत्ति और वर्तमान भोग प्रधान क्षणजीवी जीवन पद्धति ने संस्कृति एवं संस्कृत की गरिमा को नष्ट:करने का प्रयत्न किया है किन्तु, भूतकाल में रौंदी गयी ज्ञान-भाषा को हमेशा दबाया या मिटाया नहीं जा सकता. 'संस्कृत' का सुसंस्कार हर भारतीय के हृदय में राख से ढँकी चिंगारी की तरह सुप्त होने से लुप्त होने का भ्रम पैदा करता है किंतु इस गुप्त चित्र के प्रगट होने में देर नहीं लगेगी यदि हम विवेकी जन संस्कृति और साहित्य का न केवल स्वयं अवगाहन करें अपितु अन्य जनों को भी प्रेरित कर सहायक बनें. भजन: गिरिजा पूजन... -स्व. 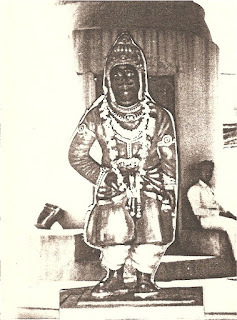 शान्तिदेवी वर्मा. अर्थात- क्यों भाई! इस चिन्हवाली महिला को सरकार ने इतने दिनों में भी कोई नौकरी नहीं दी? ये तो कई बार मेरे हाथ-पैर पड़ने आ चुकी है। मैंने हर बार इसी को बटन दबा कर मत दिया। आज फिर से इसने अपने चिन्ह भेज दिया। आखिर क्या बात है? ये बार-बार नौकरी मँगाने क्यों आती है? The valient never taste of death but once. कौन के कुंवर?, कहाँ से आए?, कौन काज से आए? का पहने हैं?, का धारे हैं?, कैसे कहो सुहाए? शौर्य-पराक्रम भी है कछु या कोरी बात बनायें? चार कुंअरि हैं जनकपुरी में, कौन को जे मन भाए? I got my share, why should I fight? ------------------जब मिल गया हिस्सा ज़रूरत क्यों लड़ने की है? 'परहित सरिस धरम नहीं भाई ! किसी का हित करने का ऐसा अवसर मिले की आपकी गाँठ से कौडी भी न जाए तो धर्म करने का यह अवसर कौन चूकना चाहेगा? प्रश्न १ : ई न्यूज पेपर क्या है? प्रश्न 2 : पोर्टल क्या है? प्रश्न 3 : डाॅट इन, डाॅट काम, डाॅट ओ। आर। जी। तथा अन्य सबंधित शब्दों के अर्थ एवं बेव पत्रकारिता में उनकी भूमिका? प्रश्न 4 : भारत में बेव पत्रकारिता का प्रचलन कैसा है एंव मुख पोर्टल कौन कौन से है? प्रश्न 5: वेब पत्रकारिता के विभिन्न स्वरूप एंव उनके समक्ष आने वाली चुनौतिया क्या ? हाँ-हाँ नाचें तीनों मैया, बाजे अवध बधैया..
अखंड ब्रम्हांड में ध्रुव के सामान दृढ और अचल और कुछ नहीं है. नहीं अखिल ब्रम्हांड में,अचल-अटल कुछ और. 'सलिल' मात्र ध्रुव है अचल, दृढ़ता का सिरमौर. 'जा, जा बड़ा आया दुआ देनेवाला...पहले खुद खा-पी ले. भला-चंगा है, मुस्टंडा महीन का..क्या तुमसे काम-धाम नहीं होता? इस प्रकार भीख माँगने में शर्म नहीं आती तुमको? -बडबडाते हुए वह मंदिर की ओर बढ़ गया. भगवान की मूर्ति के सामने उसने सर झुकाया और क़तर स्वर में गिडगिडाया- 'प्रभु! तुम ही मेरे सहारे हो। मैं तुमसे कृपा की भीख मांगता हूँ। मेरा भाग्योदय तुम्हारे ही हाथ में है। इस बार मुझे टिकिट मिल ही जानी चाहिए। पिछले दो चुनाव यूं ही हाथ से निकल गए और मैं अपनी बदकिस्मती पर आँसू बहता रह गया. तुम दाता हो, मैं भिखारी. जब तुम्हारी कृपा से कंगले की लाटरी खुल सकती है तो मैंने तुम्हारा क्या बिगाडा है? तुम्हें पार्टी अध्यक्ष का ह्रदय परिवर्तन करना होगा और विधायक बनाकर मेरी नैया पार लगनी होगी' - यह कहते-कहते वह भगवान की मूर्ति के पैरों से लिपट गया. भिखारी कौन यह या वह? सोच रही थीं मंदिर की दीवारें. क्यों भैया! क्या तीरथ करने गए थे? बहुत दिनों बाद दिखाई दिए हो. उसकी आँखों में आँसू छलछला आये थे. संस्कृत में कहा गया है- 'कोषस्तु महीपानाम् कोशाश्च विदुषामपि' अर्थात कोष या तो राजाओं के पास होता है या विद्वानों के. जब तक मैं भिक्षुक हूँ, मेरी दृष्टि में संपत्ति अर्जन से बढ़कर कोइ पाप नहीं, और धनी हो जाने पर दरिद्रता और भिक्षा मेरे जीवन का सबसे बड़ा अभिशाप है. पाप, भिक्षु की द्रष्टि में, है- होना धनवान. उसे गरीबी शाप हो, जब हो सम्पतिवान..
Hindu Mythology believes that the entire universe was created by paratpar param brmha who is nirakar (shapeless), anadi (without begining), anant (endless), ajar (never become old), amar (never dies), akshar (never detoriates), amit (can't be quantified) and ajit (none can win). The yogees concentrates on it and gets parampad. They always hear 'anahad naad' (divine sound). Modern science conferms that the begining of universe is from sound waves having highest frequency and highly densed having the same characteristics as described above. As the sound waves are shapeless, it is not possible to draw their picture (chitr) or the chitr was gupt. It is depicted by the letter 'om'. On dooj the kayasthas worship lord chitrgupt by drawing this 'om' without knowing it's reality. Later on these sound waves converted into tiny particles revolving on their axis as well as in an orbit with an unimaginable great speed and generating a devine light. Number less particles were generating new particles (ekoham bahusyam) and were immerging into other particles. This cycle was on for crores and crores thousand years. This phenomenon was nothing but convertion of nirakar oorja (shapeless energy) to sakar (shapes). In other words we can say that paratpar param bramh was showing or creating it's gupt chitr (secrete shape) or Lord chitrgupt appeared in space with his devine powers to create universe. on dooj poojn kayasthas make an 'om' on plane paper and draw a human body on it to indicate the process of creation of universe by their isht chitrgupt. Later on numberless tiny electronically charged particles developed the particles having opposite charge and some without charge. inside the tiny speedily revolving particles an vaccum took place with exterme darkness. any thing coming near to the black whole was sollowed by it. Gradually with the arrival of new particles and expansion of the orbits crores of milky way came into existance. Science confirms the above concept. Nirakar Paratpar param bramh bhgvan after world, as we know it, was created by LORD BRAMHA, the Creator. Lord Bramha first created 16 Sons from various parts of his own body. Shri Chitragupt Ji, his 17th creation, is believed to be the creation from Lord Bramha's Mind & Soul. 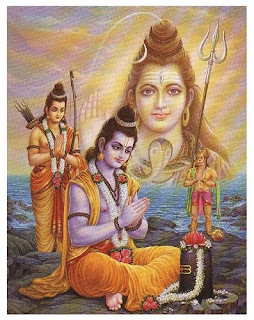 Shri Chitragupt Ji is divine incarnation in human form called Kayastha since he is the only creation of Lord Bramha, created in entirety [KAYA] from the lords body, unlike the other 16 sons who were created only from various parts of the body. Shri Chitragupt Ji (& hence the Kayastha's) were accorded a dual caste status, namely KSHATRITYA [Warrior] and BRAHMIN [The Learned]. The primary duty awarded to Shri Chitragupt Ji was to create LOG of the lives of all living beings, judge their lives based on good-deeds and misdoing, and decide, upon ones death, whether they will attain NIRVANA [Completion of their LIFE CYCLE & redemption from all worldly troubles] or, receive punishment for their misdoing in another life form, till they attain NIRVANA. 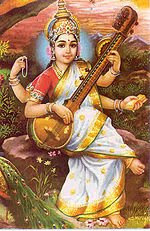 The Kayastha Parivar believes in WORLD PEACE, JUSTICE, KNOWLEDGE and LITERACY, the four primary virtues depicted by the form of Shree Chitraguptjee. The community, world-wide, strives to attain these virtues and promote the same, in line with the teachings of their supreme lord. Empowered with powerful traits such as SELF RESPECT, SELF ESTEEM, INTELLIGENCE, COMMONSENSE & PRESENCE OF MIND, AESTHETIC SENSE, BENEVOLENCE, Kayastha's are PROGRESSIVE & ADAPTIVE. Over the centuries, the community established excellence in ACADEMICS, ADMINISTRATION, LEGAL JUSTICE, SCIENCE & FINE-ARTS. The Kayastha Community is religiously inclined & very close-knit. They strive to fight social injustice in society. They instill values of religion & culture. Academics has a very important place in the life of a Kayastha. Sincerity & Hard Work are always respected and awarded. Social reform through adoption of economically backward families from within the community, and hence their emancipation, is a known way of KAYASTHA service to their community. This is an argumental fact that different sub castes of Kayastha are named on the basis their residential places. After the analysis of different facts the following features are observed. Kulshrestha: The eldest son of Shri Chitragupt form Iravati, Chitragupt was settled in old Panchal state contemporary Panchal state was from central west of U.P. to north of Shivalik range. This lies in present Rohilkhand part of U.P.. Later in this area was also pronounced as North Panchal. The capital of above Panch is Ahishera and the local residence are called as "Ahigad" as the time progresses their senenations are also name as Ahigad Kaystha. Because of the eldest among all sons Ahigad Kayastha also called theselves "Kulshrestha". Mathur: Born from Irawati another son name Charan was settled in the coutryb of Saursen Kings and handled the ports of different ministerial and administrative cadre. The ancesto of Shri Krishna, King Yayati has ministers form the generation of Charan. The capital of Saursen was Mathura that’s why they later called as Mathurs. They are normally resides in Matura, Agra and adjoining distincts. Gaur: Another son name Sucharu setteled in Gaur kingdom and gained the porst of minister. This Gaur kingdom has large area form Padma River of Bangal province.To Vardman Area in west. The other castes which are also residing in some area are also termed as Gaur an the provincial basis. Bhatnagar: In the ancient time there was a kingdom in East Panjab area having capital Bhatner. The son of Shri Chitragupta named Chitra was working as minister in this kingdom and start residing there in Bhatner. Later on their generations where also transferred in different parts of Haryana, Panjab, North East of Rajasthan and west Uttar Pradesh. Because of having birth place in Bhatner later on they were called as Bhatnagar. Saxena: In ancient time there was a kingdom named Gandhar which was spread over the area of west of Sindhu River (Present Afganistan) .The capital of Gandhar was Takshshila later on Pushkawali(Present Peshawar). The son of Shri Chitragupta named Matimaan hold the post of minister in Gandhar Kingdom. The generations of Matimaan establishes the city named "Kayasthinvash" which was presently the capital of Afganistan named Kabul. In Puran the residents of Sakun Kingdom they comes into two phases, the persons of first phase are called as Khare and that of second phase are Dusare. Ambasta: In the ancient time there was a kingdom named Ambast which was in between ChandraBahga (Present Chenab river) and Airawart (Present Ravi river). The discussion of Ambast Kingdom was also mentioned in BrahmnaPuran. The residents of this Kingdom was called as Ambasta. Padini was also called the residents of Southeast region of Kashmir as Ambasta. The son of Shri Chitragupta named Himvaan had hold the post of minister there and their generations are also settled there. There people are very brave and fight along with Kauravs in Mahabharath. Because of the residents of Ambast Kingdom they are called as Ambasta. Valmik: In the central part of the plains of Ganga and Yamuna there was a kingdom named Panchal having capital Kampil which was situated in the south of Ganga. In ancient South Panchal there was Ashram of Valmiki. The Kayastha residents of this kingdom was start staying in the adjoining areas of this Ashram and was great followers of Saint Valmiki. Because of this later on the residents of this kingdom was called as valmeek Kayastha. Nigam: Another son of Shri Chitragupta named Antarvendreya was of very religious nature. He spends lots of his time in the reading of Veds. He deployed his sons in the study of Veds or Nigam .This results that their generations are further named as Nigams. Suryadhvaj: The son of Shri Chitragupta and Dakshina ,Vibahu get settled in the ancient Kashmir. On that time Kashmir province was situated north west of Himalaya which was also mentioned in Shakti Sagar Tantra. On that place the generation of Vibhanu was very powerful. Majority of them played their role in finances and judiciary sector, because of that local Brahmin feels jealous for them. Once they had also established their own kingdom. Since mother of Vibhanu is the daughter of Surya so generations of Vibhanu place sign of Sun on their flags. Because of this they are further called as Suryadhvaj. Asthana: The son Veerbhanu of Shri Chitragupta ji was settled in Brahmavat Kingdom. In Hindu era the capital of Brahmavart was Sthaneshwar. When Harshawardhan merges the Kingdom of his sister in his Kingdom Kannauj had became his second capital. To handle the administration and system the persons of sub caste were settled there .Since they had the background of Sthaneshwer so they are called as Asthana .Before Mughals they are linked with different administrative jobs for Sharki Sultans. Raja Todarmal minister of Mughal emperor Akbar is also from Asthana family. In Mughal period as the influence of Avadh increases, Asthanas shifts towards Lucknow. Presently they are residing in the adjoining areas of Lucknow as Sitapur, Hardoi etc. Srivastava: Bhanu son of Shri Chitragupta ji and Dakshina settled in the Kushal Kingdom of ancient India. Their generations hold the posts at different administrative level in that Kingdom. Minister of King Dashreth ( Father of Lord Ram ) Sumant belongs to the family of Bhanu Later on Lord Ram divided his Kingdom in between Lav and Kush in the form of north and south Kaushal. According to Valmeek the capital of north Kaushal is Shravasti. So attached with Shravasti they are called as Srivastava. Some myth are also existed that because being migrated from Srinagar they are also called as Srivastava. Some have the prediction that they are also residing on the banks of Saraswati River that is why they are called as Srivastava. According to famous writer Dr Rangyay Raghav the suffix of Srivastava is "Vastava" shows that they are very good architect (Vaastu Kala). That is why they had built Hastinapur, Ahichha and Sravasti. After analyzing the above views it is concluded that major density of this sub caste of Kayastha is in the Uttar Pradesh near Gonda district was the ancient Sravasti and this important subcast of kayastha was named on the basis of this. Karna: Another son of Shri Chitragupta ji Vishvabhanu was settled in the south Bihar in ancient Magadh. 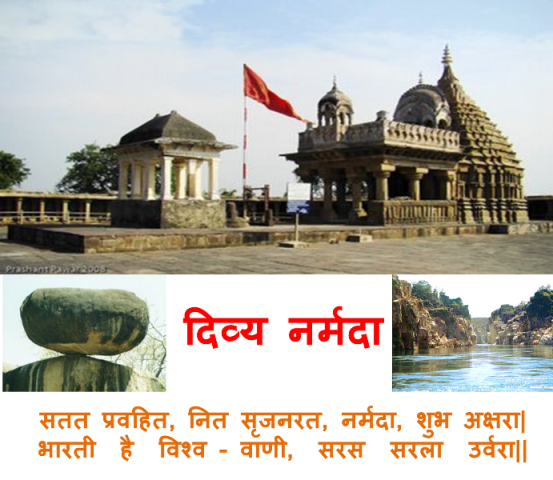 Ancient Kaleshwar (Present Kashi) to Tapta Kund (Present Sita Kund in Munger ) all the area comes into Magadh Kingdom. Its capital was Rajgarh (Present Rajgir) In the period of Mahabharat Duryodhaon had presented the western part of this are to his friend Karna (Ang Desh). Later on residents of these areas are called as Karna. Kayastha from Gupta Era to Rajput Era they all are worked at different ministerial and administrative levels. In Khujraho the capital of Chandel Kingdom a minister named Yashovarman build a big temple. कौन गा रहे?, कौन नाचते?, कौन बजाएं करताल? ऋषि-मुनि गाते, देव नाचते, भक्त बजाएं करताल. अंगना मोतियन चौक है, द्वारे हीरक बन्दनवार. मलिन-ग्वालिन सोहर गायें, नाचें डे-डे ताल. मैया लाईं थाल भर मोहरें, लो दे दो आशीष. बिन दर्शन हम कहूं न जैहें, बैठे धुनी रमाय. अलख जगाये द्वार पर भोला, डमरू रहे बजाय. रघुवर गोदी लिए कौशल्या, माथ डिठौना लगाय. जग-जग जिए लाल माँ तेरो, शम्भू करें जयकार. गप् शब्द पर गौर करें तो किसी स्वादिष्ट पदार्थ को समूचा या मीठे बताशेऔर ये पानी बताशे…पानी पूरी की छोटी छोटी फुलकियों को हवा से भरी पूरी के अर्थ में बताशा कहना तार्किक है… निवाले में एकबारगी उदरस्थ करने का भाव है। मराठी में एक मुहावरा है ‘गप्प’ यानी एकदम खामोश। हिन्दी में गुपचुप शब्द का जो भाव है वही मराठी के गप्प में है। खामोशी का अर्थ है अस्तित्व का पता न चलना। अस्तित्व का बोध करानेवाला महत्वपूर्ण तत्व ध्वनि है। यह गप्प या गुपचुप दरअसल संस्कृत की गुप् धातु से आ रहा है जिससे ही हिन्दी का गुप्त शब्द बना है जिसका अभिप्राय होता है छुपना, छुपाना, ढकना। पसंदीदा खाद्यपदार्थ को झटपट रसना का स्पर्श कराए बिना सीधे पेट में उतारने की प्रक्रिया पर गौर करें तो पता चलेगा कि किस तरह देखते ही देखते एक स्वाद-लोलुप स्वादिष्ट पदार्थ को ‘गुप्त’ कर देता है। गुप्त से ही बना है गुप शब्द जिसका चुप के साथ मेल होकर गुपचुप जैसा समास बनता है। साफ़ है कि गुप्त के ग़ायबाना अंदाज़ में ही छुपा है गोलगप्पा के गप्पा का राज़। एक स्वादिष्ट गोल पूरी को गप से खा जाने का भाव ही इसमें प्रमुख है। य़ूं भी हिन्दुस्तानी समाज में नाज़नीनों और पर्दानशीनों के गुपचुप गोलगप्पे खाने की अदाओं और तरीकों से कौन वाकिफ नहीं है। गोलगप्पे गुपचुप खाने की चीज़ ही तो हैं!!! ब्लॉग कहाँ लिखे जाते है? * A person with specific identity must know the meaning of that word. For example an engineer must know the meaning of the word Engineer. 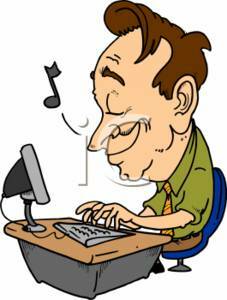 * In practice or in common men's language the two words engineer and technocrat appears to be identical, but it is not so. * He will always be sincere, honest and can not be over ruled by any body else. * Technocrat or technologist means a tactful man. B.Tech means Bachelor of Technology or in true sense Bachelor of Tactics or Tricks अर्थात तिकड़मबाजी का स्नातक. * One can be trained as a technologist but never as an engineer. Engineer is by birth and the qualities are god gifted. Engineer is always a man of constructive attitude. * Human errors are unavoidable. One can minimize errors by honesty/sincerity. मानवीय त्रुटियां निष्ठापूर्वक कार्य करने से न्यूनतम की जा सकती हैं. * The only person who does not make mistakes is who does nothing. केवल वही मनुष्य त्रुटि नहीं करता है, जो कुछ नहीं करता है. * It is easy to find mistakes but to make corrections is a difficult task. त्रुटियां निकालना/इंगित करना कठिन नहीं है, त्रुटियों का निराकरण करना कठिन है. * It is not enough to make progress. It is more important to make it in the right direction. प्रगति करना ही पर्याप्त नहीं है। प्रगति की दिशा सही होना अधिक महत्वपूर्ण है. * A technologist is not supposed to remember all the data's; he is supposed to know how a problem is to be tackled. * An Engineer will always discharge his duties judiciously. 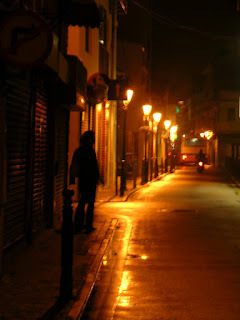 * The judicious man always adopts the path of sincerity which is the path of least time and travel. He learns till death and thus enjoys his life. 2+2=4 is right and one can answer within no time, but if 2+2=4 is not allowed then one can never answer it and his whole life will go to waste. He will be the best. * Correct and character words are complementary. If a man is of character his doing will be correct, whatever he will deliver will be correct. * Now one can easily check himself whether he is an Engineer or not....? If you are publicly known as an Engineer, please check it whether it is true or not.......? Public works departments in India whether central or states are mainly responsible for roads and buildings. * Road network is backbone for socioeconomic development of a Nation. * Healthy is backbone better will be out put. In any country condition of roads and the manners how travelers use them reflects about the whole system of that country. * It is an indicator of SOBRIETY, DECENCY and PROSPERITY of a Nation. * Every Government and public man will prefer to have better roads. Better Roads need better construction quality, better maintenance. In this universe all the happenings are performed under a system. No activity can be performed with out a system, whether it is related to living or non living or both. A system is said to be perfect if desired result is achieved economically i.e. on both the axis time and cost, and this is known as productivity. But if cost factor is not accounted and production is more, then it is production based result and productivity is not achieved. Basically there are two components i.e. input, in carrying out any work or process and will result into out put. In absolute case these two components must be equal i.e. out must be equal to input, but it is not so. Because of some losses are unavoidable. I fact En+M+Ex must be equal to out put `O', but in spite of all care, precautions the three components can not be equal to out put. There will be some losses. These losses may be in terms of materials, labor, tolerance or quality. To minimize these losses on account of quality is known as quality assurance. If a job is carried with uttermost sincerity, honesty then one can achieve stipulated quality. Here we aimed to discuss the departmental system. For better working the things should be well defined. And for that we need a prefect departmental set up. The present system of P.W.Ds is out dated. It might be suitable for British who established this department. British were enough honest towards their duty and government. At that time this country was salve. But now a day this is not the position. So it was the primary duty of the government to organize not this but all the department of this country according to the need of an independent country. Not all at one time but step by step. We could not do it and the result is before us. SMOSEY is a new organization with web site http://www.samoseyindia.com/. The samosey doesn't mean the delicious India dish. This samosey mean: SOLUTION + MAKING + SAYSTEM (SMS). And it our National language: स + मो + से = संकट + मोचन + सेवा. Samosey will give you absolute solution of your problem. `Apconsultants' is an integral part of samoseyindia.com and have a team of dedicated Engineers, Transport Planner, and Environmental Engineer and GIS Expert. All the experts are from reputed Institutes of India as IIT and SPA. We are in a position to turn of any problem related to Transportation/ Highways and Buildings, and are confident for our excellent Quality Audit System. ग़ज़ल : मनु बेतखल्लुस, दिल्ली. चिप्पियाँ Labels: इंतज़ार, किस्मत, ग़ज़ल : मनु बेतखल्लुस, जिस्म, दिल्ली. बेखुदी, नज़र, रहमत, रूह . वास्तु मूर्ति (इमारत) परम ज्योति की तरह सबको सदा प्रकाशित करती है. 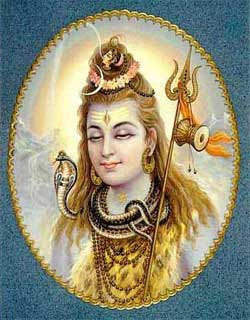 वास्तुदेव चराचर का कल्याण करनेवाले सदाशिव हैं. वास्तुदेव ही सर्वस्व हैं वास्तुदेव को प्रणाम. सनातन भारतीय शिल्प विज्ञानं के अनुसार अपने मन में विविध कलात्मक रूपों की कल्पना कर उनका निर्माण इस प्रकार करना कि मानव तन और प्रकृति में उपस्थित पञ्च तत्वों का समुचित समन्वय व संतुलन इस प्रकार हो कि संरचना का उपयोग करनेवालों को सुख मिले, ही वास्तु विज्ञानं का उद्देश्य है. मनुष्य और पशु-पक्षियों में एक प्रमुख अन्तर यह है कि मनुष्य अपने रहने के लिए ऐसा घर बनते हैं जो उनकी हर आवासीय जरूरत पूरी करता है ज्ब्म्क अन्य प्राणी घर या तो बनाते ही नहीं या उसमें केवल रात गुजारते हैं. मनुष्य अपने जीवन का अधिकांश समय इमारतों में ही व्यतीत करते हैं. एक अच्छे भवन का परिरूपण कई तत्वों पर निर्भर करता है. यथा : भूखंड का आकार, स्थिति, ढाल, सड़क से सम्बन्ध, दिशा, सामने व आस-पास का परिवेश, मृदा का प्रकार, जल स्तर, भवन में प्रवेश कि दिशा, लम्बाई, चौडाई, ऊँचाई, दरवाजों-खिड़कियों की स्थिति, जल के स्रोत प्रवेश भंडारण प्रवाह व् निकासी की दिशा, अग्नि का स्थान आदि. हर भवन के लिए अलग-अलग वास्तु अध्ययन कर निष्कर्ष पर पहुचना अनिवार्य होते हुए भी कुछ सामान्य सूत्र प्रतिपादित किए जा सकते हैं जिन्हें ध्यान में रखने पर अप्रत्याशित हानि से बचकर सुखपूर्वक रहा जा सकता है. * भवन में प्रवेश हेतु पूर्वोत्तर (ईशान) श्रेष्ठ है. उत्तर, पश्चिम, दक्षिण-पूर्व (आग्नेय) तथा पश्चिम-वायव्य दिशा भी अच्छी है किंतु दक्षिण-पश्चिम (नैऋत्य), पूर्व-आग्नेय, उत्तर-वायव्य तथा दक्षिण दिशा से प्रवेश यथासम्भव नहीं करना चाहिए. यदि वर्जित दिशा से प्रवेश अनिवार्य हो तो किसी वास्तुविद से सलाह लेकर उपचार करना आवश्यक है. * भवन के मुख्या प्रवेश द्वार के सामने स्थाई अवरोध खम्बा, कुआँ, बड़ा वृक्ष, मोची मद्य mans आदि की दूकान, गैर कानूनी व्यवसाय आदि नहीं हो. * मुखिया का कक्ष नैऋत्य दिशा में होना शुभ है. * शयन कक्ष में मन्दिर न हो. * वायव्य दिशा में कुंवारी कन्याओं का कक्ष, अतिथि कक्ष आदि हो. इस दिशा में वास करनेवाला अस्थिर होता है, उसका स्थान परिवर्तन होने की अधिक सम्भावना होती है. * शयन कक्ष में दक्षिण की और पैर कर नहीं सोना चाहिए. मानव शरीर एक चुम्बक की तरह कार्य करता है जिसका उत्तर ध्रुव सिर होता है. मनुष्य तथा पृथ्वी का उत्तर ध्रुव एक दिशा में ऐसा तो उनसे निकलने वाली चुम्बकीय बल रेखाएं आपस में टकराने के कारण प्रगाढ़ निद्रा नहीं आयेगी. फलतः अनिद्रा के कारण रक्तचाप आदि रोग ऐसा सकते हैं. सोते समय पूर्व दिशा में सिर होने से उगते हुए सूर्य से निकलनेवाली किरणों के सकारात्मक प्रभाव से बुद्धि के विकास का अनुमान किया जाता है. पश्चिम दिशा में डूबते हुए सूर्य से निकलनेवाली नकारात्मक किरणों के दुष्प्रभाव के कारण सोते समय पश्चिम में सिर रखना मना है. * भारी बीम या गर्डर के बिल्कुल नीचे सोना भी हानिकारक है. * शयन तथा भंडार कक्ष सेट हुए न हों. * शयन कक्ष में आइना रखें तो ईशान दिशा में ही रखें अन्यत्र नहीं. * पूजा का स्थान पूर्व या ईशान दिशा में इस तरह ऐसा की पूजा करनेवाले का मुंह पूर्व दिशा की ओर तथा देवताओं का मुख पश्चिम की ओर रहे. बहुमंजिला भवनों में पूजा का स्थान भूतल पर होना आवश्यक है. पूजास्थल पर हवन कुण्ड या अग्नि कुण्ड आग्नेय दिशा में रखें. * रसोई घर का द्वार मध्य भाग में इस तरह हो कि हर आनेवाले को चूल्हा न दिखे. चूल्हा आग्नेय दिशा में पूर्व या दक्षिण से लगभग ४'' स्थान छोड़कर रखें. रसोई, शौचालय एवं पूजा एक दूसरे से सटे न हों. रसोई में अलमारियां दक्षिण-पश्चिम दीवार तथा पानी ईशान में रखें. * बैठक का द्वार उत्तर या पूर्व में हो. deevaron का रंग सफेद, पीला, हरा, नीला या गुलाबी हो पर लाल या काला न हो. युद्ध, हिंसक जानवरों, शोइकर, दुर्घटना या एनी भयानक दृश्यों के चित्र न हों. अधिकांश फर्नीचर आयताकार या वर्गाकार तथा दक्षिण एवं पश्चिम में हों. * सीढियां दक्षिण, पश्चिम, आग्नेय, नैऋत्य या वायव्य में हो सकती हैं पर ईशान में न हों. सीढियों के नीचे शयन कक्ष, पूजा या तिजोरी न हो. सीढियों की संख्या विषम हो. * कुआँ, पानी का बोर, हैण्ड पाइप, टंकी आदि ईशान में शुभ होता है, दक्षिण या नैऋत्य में अशुभ व नुकसानदायक है. * स्नान गृह पूर्व में, धोने के लिए कपडे वायव्य में, आइना पूर्व या उत्तर में गीजर तथा स्विच बोर्ड आग्नेय में हों. * शौचालय वायव्य या नैऋत्य में, नल ईशान पूव्र या उत्तर में, सेप्टिक टंकी, उत्तर या पूर्व में हो. * मकान के केन्द्र (ब्रम्ह्स्थान) में गड्ढा, खम्बा, बीम आदि न हो. यह स्थान खुला, प्रकाशित व् सुगन्धित हो. * घर के पश्चिम में ऊंची जमीन, वृक्ष या भवन शुभ होता है. * घर में पूर्व व् उत्तर की दीवारें कम मोटी तथा दक्षिण व् पश्चिम कि दीवारें अधिक मोटी हों. तहखाना ईशान, या पूर्व में तथा १/४ हिस्सा जमीन के ऊपर हो. सूर्य किरंनें तहखाने तक पहुंचना चाहिए. * मुख्य द्वार के सामने अन्य मकान का मुख्य द्वार, खम्बा, शिलाखंड, कचराघर आदि न हो. आरोग्यं पुत्रलाभं च धनं धन्यं लाभेन्नारह. अर्थात इस तरह से जो व्यक्ति वास्तुदेव का सम्मान करता है वह आरोग्य, पुत्र धन - धन्यादी का लाभ प्राप्त करता है. कुछ तो दुनिया में रहे नादाँ की बाकी यादगार. इसलिए पेशेनजर अदना सी ये सौगात है..
होश मस्तों को है सागर का न पैमाने का. फ़ैज़े-साकी से अजब रंग है मैखाने का..
अब उसे गम नहीं कुछ बज़्म में जल जाने का. नाम तो शम'अ से रोशन रहा परवाने का..
अब तो मैं होश में भूले नहीं आने का. अपने मुझको लकब दे दिया दीवाने का..
तालिबे-इश्क़ हूँ मज़हब से मुझे क्या मतलब? मैं हूँ पाबन्द न काबे का न बुतखाने का..
मैं वो मैकश हूँ जहाँ शीश-ओ-सागर देखे. आँख में खिंच गया नक्शा वहीं मैखाने का..
हो गयी पूरी तमन्ना तो मज़ा क्या 'नादाँ'. ज़िन्दगी नाम है अरमां पे मिट जाने का..
दोस्त जब मेहरबां हुए हम पर. दुश्मनी में न फिर कसर छोडी. ए 'सलिल'! दिल को कर मजबूत ले. आ रहे हैं दोस्त मिलने के लिए. शिकवा न दुश्मनों से मुझको रहा 'सलिल'. हैरत है दोस्तों ने ही प्यार से मारा..
संबंधों के अनुबंधों में प्रतिबंधों की. दम टूटी, जब मिला दोस्त सच्चा कोई भी..
जिस्म दो इक जां रहे जो. दोस्त ने दोस्त से न कुछ चाहा. हुई चाहत तो दोस्ती न रही. अधरों पर मुस्कान ह्रदय में पाप भरा है. / ऐसे कुटिलों से पूरित यह वसुंधरा है. दोहानुवाद : मनमोहक मुस्कान पर, ज़हर ह्रदय में खूब. कुटिलों से बचिए 'सलिल', नाव जायेगी डूब..
प्रत्येक चमक का आधार स्वर्ण नहीं है. स्वर्ण समाधि के खुलने पर भी कीटाणु ही मिलते हैं. दोहानुवाद : जगमग-जगमग जो करे. कनक न उसको मान. कनक-मकबरे में 'सलिल', मिले कीट-कृमि-खान..
नमन नर्मदा : कृष्ण गोप, मंडला. लो हम वोट दे आये ! बोध कथा: ईश्वर का निवास -मंजू मिश्रा, अहमदाबाद. साहित्य समाचार : 'शर्म इनको मगर नहीं आती विमोचित"